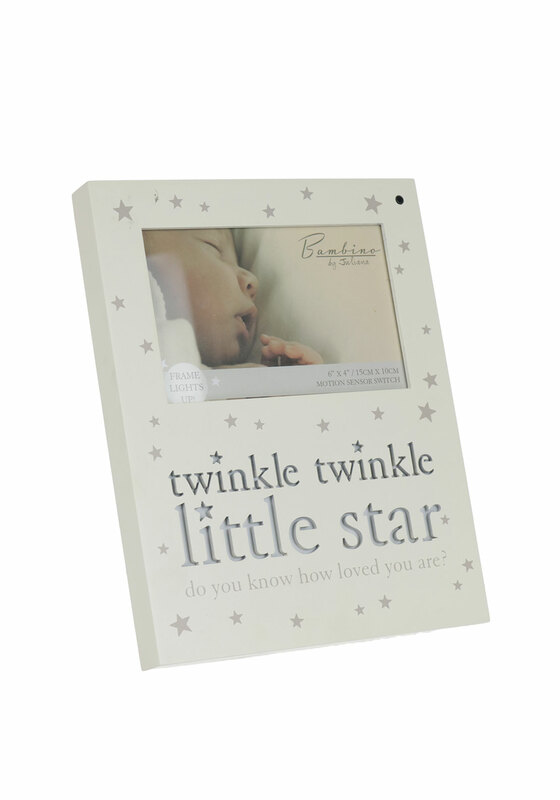 Presented in a wood cream tone finish, this fabulous frame is finished with stars that flow throughout and feature the words ‘twinkle twinkle little star do you know how loved you are’ crafted into the frame. 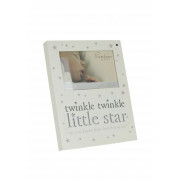 With a motion sensor switch this frame will light up to create a stunning focal piece in baby’s nursery. The item comes boxed so can make for a lovely gift. Presented beautifully in Juliana Bambino gift box.